Many Thanks to Peter for pictures of the Homecoming and Freedom Parade in the town centre this morning. 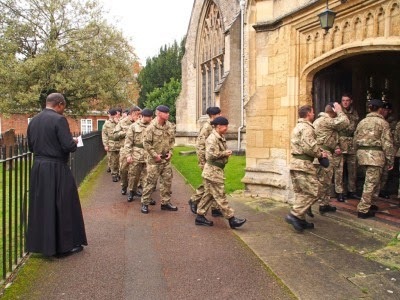 The Freedom was exercised by members of the Third Logistics Support Regiment at Dalton Barracks, who have recently returned from a six month tour of Afghanistan. 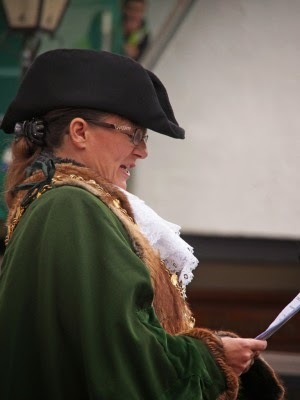 An address was given by the Mayor. 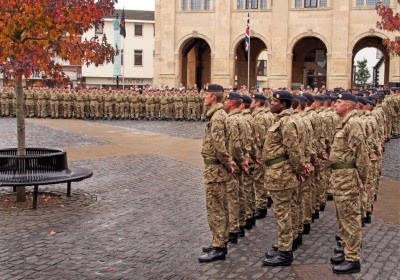 Then members of the regiment exercised the Freedom by marching round the town centre. They then went to St. Helens Church for a special church service. 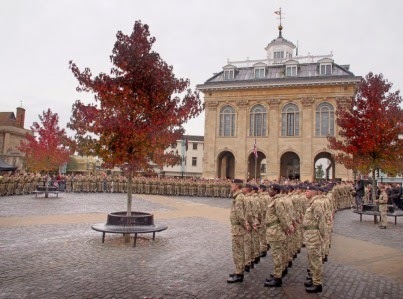 On returning to Dalton Barracks in a fleet of coaches, they were received by The Princess Royal who, as Colonel‑in‑Chief of The Royal Logistic Corps, presented them with medals and thanked them. The picture was taken last night. At lunchtime today the community shop was full of children and parents. 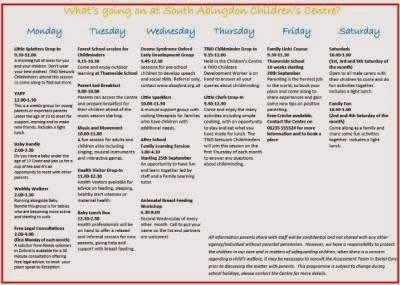 During half term Abingdon’s Children’s Centres (north and south) joined together to put on events at the community shop. The Children’s Centres always have a lot going on to help young families – particularly those who have not been given the best start in life. Oxfordshire County Council have been holding public meetings locally in: Banbury, Oxford, Wantage, Didcot and Witney – trying to gauge the public mood for possible cost cutting measures. They say a further £60m of savings are needed this year from their annual budget. 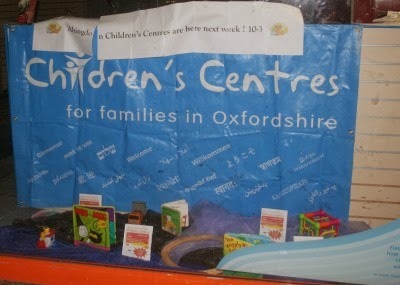 One of their cost saving proposals is to shut the vast majority of Oxfordshire’s Children Centres. The Prime Minister, who lives in Witney, and who is responsible for reducing Oxfordshire’s annual government grant, is against that idea. 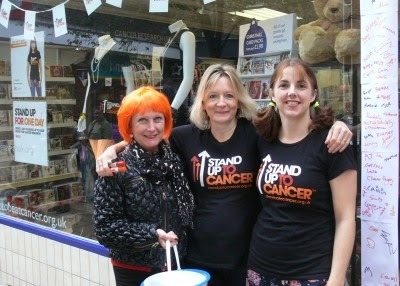 Can I thank Cancer Research UK for sending pictures of their Stand Up To Cancer event held outside the Cancer Research UK shop in Bury Street on Sat 19th Oct. Here they are belatedly. Stand Up To Cancer is an annual fund-raising event organised by Cancer Research UK nation wide. All the shops are encouraged to take part and organise local events and raise money for life saving research. 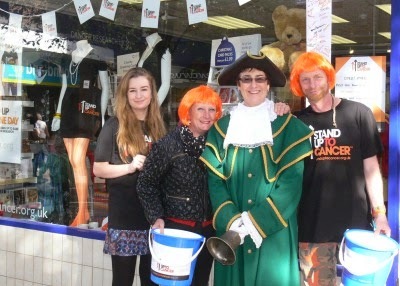 Cancer Research UK in Abingdon decided to Stand Up (and Shout) to Cancer with the help of Town Crier Penny Clover. 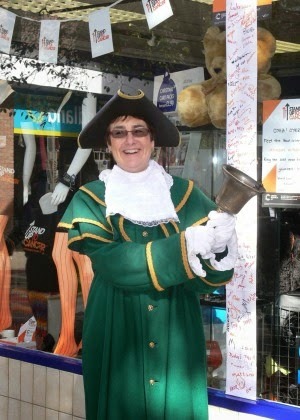 Abingdon shoppers were encouraged to ring the bell and have a go themselves. Everyone had a great time and they raised just under £500 and left a lot of signatures. That picture of the signatures I’m saving for November 1st (City Daily Photo Theme Day : Heights). Going to bed the wind was not very strong; neither was it on waking. But during the night there must have been a storm. 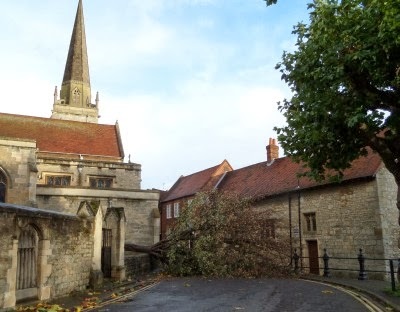 St Helen’s Wharf is currently blocked by a tree, and traffic is being diverted until it can be cleared. 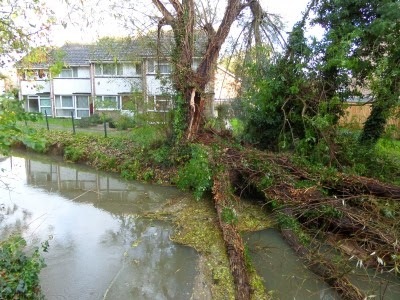 There is also a large willow split and fallen near Meadowside, beside the River Ock, and a lot of smaller branches, and a small tree beside. Only four days to go to Halloween. 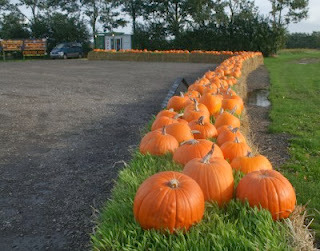 The top pumpkin farm in Abingdon this year looks to be Peachcroft Farm. 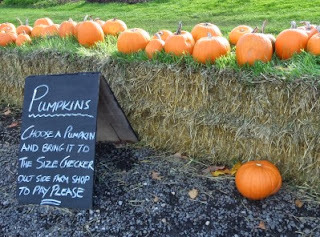 You can select a pumpkin and take it to the size checker at the farm shop to find the price. 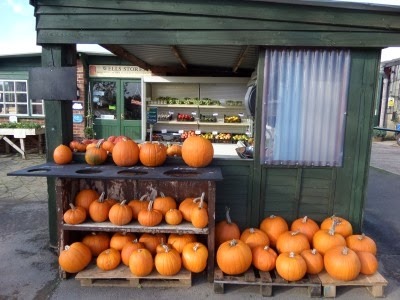 By morning, when the worst predicted storms since October 1987 have struck town, there could be more than a single pumpkin on the ground.